Leading artisan Danish jewellery brand, Trollbeads have launched Hello, a brand new ready-to-wear jewellery collection. Consisting of Sterling Silver & copper, the 10-piece range features a selection of semi-precious stones, pearls & delicate pink beads, adorned on the brand’s iconic bangles, rings and necklaces. Inspired by beautiful Danish design the Hello collection will help you create a look of effortless elegance. Each piece from the collection has been lovingly named after a greeting from around the world, including the Bonjour silver bangle, Ciao copper bangle and Hola silver bangle. "A simple hello could lead to a million things". To celebrate the launch, Trollbeads are giving away 5 Bonjour silver bangles from the collection, worth £119 each. 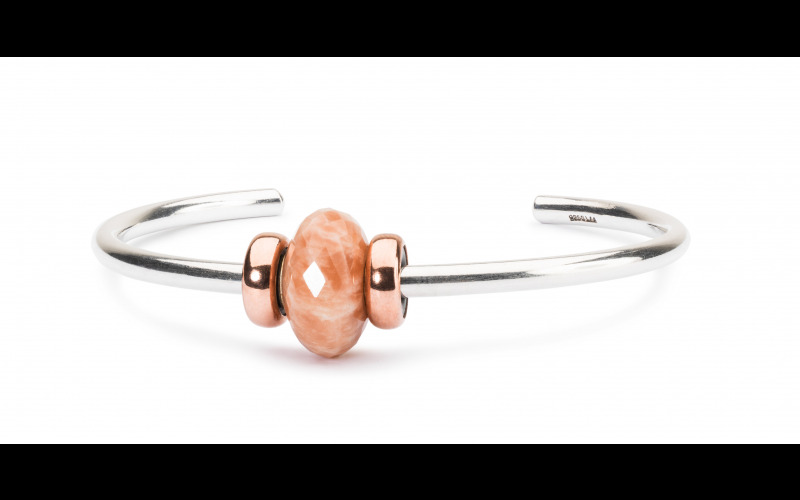 The Bonjour sterling silver bangle features the Feldspar Moonstone bead, which helps balance your mind and is finished with two copper stoppers. The Hello collection is available online now and at the Trollbeads London store - 186 Upper Street, N1 1RQ. Prices range from £49-£249.